A thread for all topics related to K100RS tech. This is mostly a thread where I can store links that I find since adding links directly to the index (via the Links menu item) is currently broken. New inexpensive BMW K motorcycle parts. 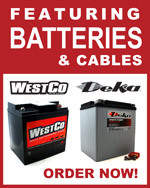 Battery cables, voltage regulators ,fuel pumps, ignition cables, and much more! Bosch ignitionmodules - Download as Text file (.txt), PDF File (.pdf) or read online. The bosch part # for the connector is apparently: 1 287 013 005. Getting a 404 on that link. If you can still find the page, better make a local copy of the image/data/whatever. I decided to try replacing the Ignition Control Module, which is mounted on the forward side of the battery "box", to see if that might solve the strange "cylinders 1 & 2 cutting out randomly in addition to the Tachometer dropping to 0" problem. Interestingly, I could tell immediately upon starting the bike that something was different. It started much more easily and ran smoother at idle. I also noticed that at speed it vibrates differently. Also, fuel economy has improved dramatically. I'll know at the end of this tank by how much but it seems to be quite a bit. Others have reported that the rich fuel smell is gone from the exhaust. However, the bike is running warmer than it was before. My hypothesis was that the ICU was now causing more complete combustion which was leaning things out. Maybe? It took it up to Bob's today to check the mixture. It ran hot on the way up. Unfortunately, it turns out that my mixture hypothesis is incorrect as the mixture had not changed at all. It does seem that the temperature gauge is failing as it reads inconsistently. Steve, the awesome tech up there, gave me a laundry list of things to look at for possible causes for it running a bit hotter than I like. The bike is apparently not getting close to overheating, it's just running hotter than before (which may actually be correct). Hard to tell at this point. I do remember when the bike was newer it did run noticeably hotter than it has for the last few years. I had thought, possibly erroneously, that putting the Remus exhaust on and tuning the mixture to that cooled things down. Maybe the ICU was the cause. Not sure. Steve is still in touch with the early K bike expert that used to work on my bike at Bob's. It turns out that my bike is the only 16V K100 they see these days so there's less of the deep knowledge about these bikes that there used to be, simply because they aren't seen as often any more. I had not considered this particular aspect of owning a very unpopular older bike. Don't engines that run lean also run hotter? I could be wrong, but if they do, then that might help explain why it's running hotter now. As a really long term plan, if your engine is just too rare, you could consider an eventual engine transplant and get something newer and more common. Yea, that's exactly what I was thinking. I see it running hotter and thought it must have leaned out the mixture because of better ignition. Unfortunately for me, that hypothesis turned out to be false as the mixture was dead-on what it's supposed to be. Interestingly, many of the parts and approaches used on the K100RS match what are done on the same vintage BMW E30 cars (3-series). Yun Lung Yang posited that the coolant temperature sender that feeds temperature info to the ECU is likely bad. Apparently, the ones in the cars have about a 15 year life span and then they get flaky. Symptoms of this are that the engine takes longer to heat up and once it does it tends to run hotter than normal. I found a thread on a K100 site that seems to support this hypothesis. So on Friday I'll get a replacement sender and install it to see if that resolves the issue. As for an engine transplant that's really not feasible. This bike doesn't really have a frame. The engine and transmission make up the bulk of the frame. There's really only a piece bolted to the front that supports the fairing and steering head and a section bolted onto the back for the seat and cowling. Realistically I should be able to run the bike for quite a number more years. I suspect I'll run into more electrical and electronics issues since we're getting towards the expected life span of those components. In addition, seals and whatnot will start failing. The rear main seal has started seep leaking, for instance. But it's still a great bike for me and I'm no where near ready or willing to exchange it for something else. It's my bike after all. No other bike will do. The BMW Part # for the temperature sender is: "13 62 2 242 184". It looks like the temperature sender cross references to some of the cars. A video series on lubing splines on a 2V K100RT but most of it applies to the 16V bikes as well. There are six parts to the series. Rubber Chicken Racing Garage: Quality Work. Classic Touch. That'll put your K bike back on the road, then? How bad was it when you got it apart? Fortunately, the parts are still available, though what a mess(!). So I take it just about everything from the engine to the rear wheel needs to be replaced. What are you getting? Brand new OEM parts, aftermarket replacements, or a used drivetrain that's been given a once-over? Long story short, a professionally better-than-stock rebuilt final drive is being delivered for much less than I thought. I have a used swing arm on order. I'm in discussions with a machine shop in Canada that specializes in remanufacturing these drive shafts to better than stock. I may be able to get one. I'm not sure about the transmission but there's a chance it might be ok.
Includes hints on how to avoid needing a clutch alignment tool, solutions to common problems, etc.